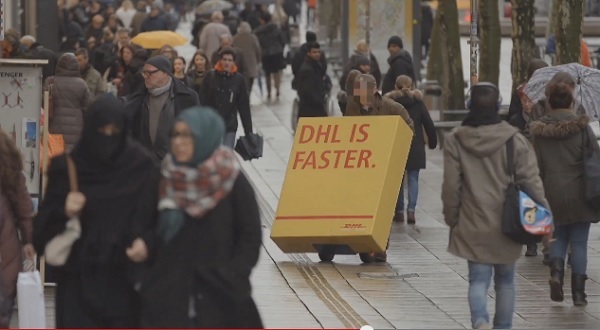 We love seeing awesome guerilla marketing campaigns unfold, and DHL’s latest stunt certainly got our attention. The shipping giant, in a brazen move to one-up its competitors, got them to advertise that “DHL Is Faster.” It hired rival companies such as UPS and TNT to deliver huge black boxes to addresses that seemed impossible to find. 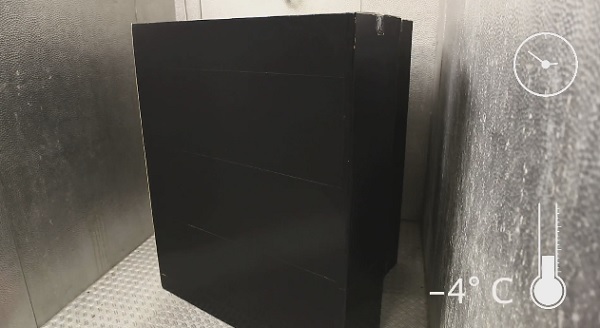 Here’s where the promo shines (and gets delightfully sneaky): The boxes were painted with temperature-activated ink that remained black in sub-zero temperatures. As the boxes inevitably heated up en route, they revealed the hidden message: DHL Is Faster. What’s a delivery person to do? 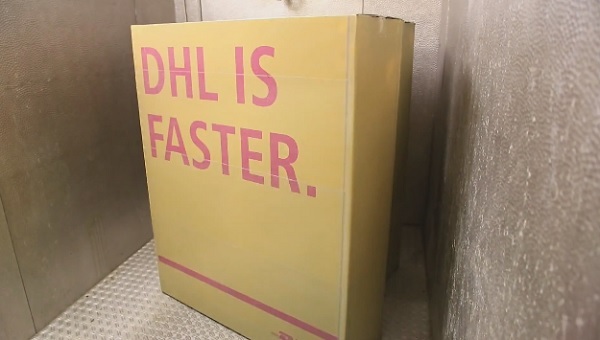 The boxes had to be delivered, and in doing so, DHL got free advertising – from its top competitors. DHL sure pulled a fast one. 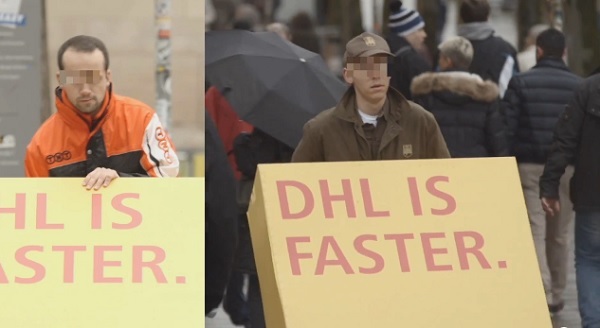 Everybody who walked past the giant boxes (you couldn’t miss them) saw the bright red words: DHL Is Faster. Before we give props to DHL for its genius guerilla marketing stunt, it turns out that the shipping company wasn’t behind it after all. A DHL rep told the Consumerist that the company is aware of the video (which, as of this post, has more than 500,000 views), but did not set up the prank or have anything to do with the video production. So while it’s not clear if the stunt was a legit prank or just staged for the video, we still think it’s super clever and give it two thumbs up for being some seriously sly marketing.